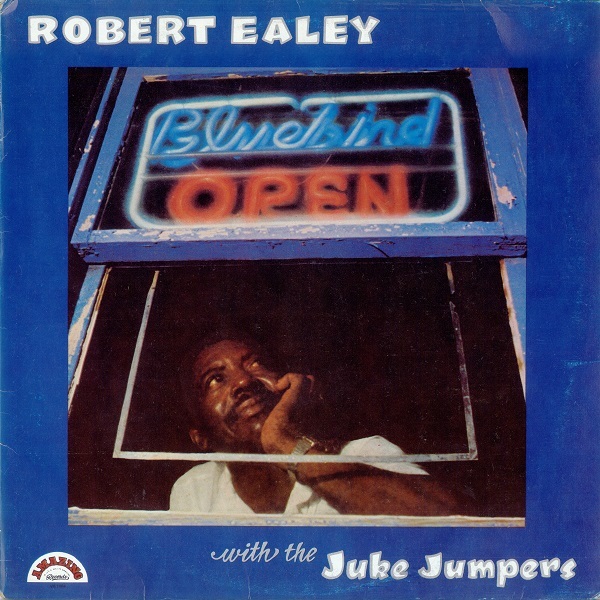 Ealey began by singing and drumming in a series of bands, including Boogie Chillen (which he formed in the mid-1950s with guitarist U. P. Wilson), the Juke Jumpers, and the Five Careless Lovers. He developed a strong following in Fort Worth, which became his permanent home base. On August 27, 1959, he married Eva Mae Whatley. They had three children. He was great at identifying young talent. Popular sax player Johnny Reno sat behind the band for a year at their gigs, without a microphone, learning the changes as if at blues prep school. Remembered for his boundless energy, Ealey once performed four shows in a single day in Fort Worth––a party in the afternoon, two clubs, and another party after the clubs were closed. He often bragged about knowing more than 400 songs and, always the professional, once escorted an unruly club patron to the exit without interrupting the song he was singing. Ealey was a huge draw in Europe, where his gigs would often turn into all-night jam sessions. In the late 1970s he began thinking of opening his own nightclub. He wanted to establish a place where local musicians could learn from one another and showcase their talent. Musicians began raising money to revive a popular nightspot on the corner of Horne and Wellesley, in the predominantly black Como neighborhood of Fort Worth. It became the New Bluebird Nite Club, a school for some of the region's most famous musicians. Some of the up-and-comers included Jimmy and Stevie Ray Vaughan, T-Bone Burnett, the Fabulous Thunderbirds, and ZZ Top. Ealey co-owned the club from 1977 to 1989. In addition to managing his club, Ealey drove a truck for Bruce Alford Lumber and Door Company. He met his second wife, Helen George, while she was singing with another band. They were married in the early 1980s. On December 3, 2000, Ealey was driving in downtown Fort Worth when a car going the wrong direction down a one-way street struck his car. He survived the crash and reportedly refused medical treatment at the scene, but suffered vertebral damage and, subsequently, damage to his renal system. He was in and out of the hospital for weeks following the crash and lost forty pounds from his already small frame. He collapsed at his home on March 4, 2001, and died three days later March 7, 2001, at John Petersmith Hospital in Fort Worth. He was buried with military honors in Dallas-Fort Worth National Cemetery. He was survived by six children. Known for his enthusiastic pursuit of the blues and an encyclopedic knowledge of music, Ealey was one of the most influential voices in Texas blues. 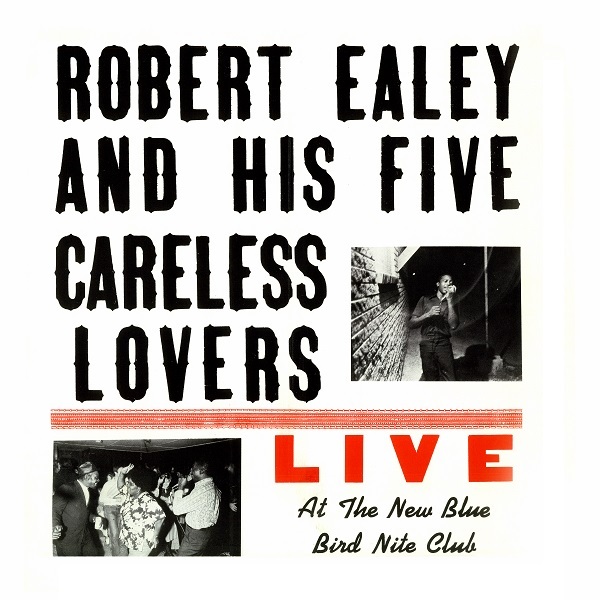 His discography covers three decades of performances, including a live album entitled Robert Ealey and His Five Careless Lovers, Live at the New Blue Bird Nite Club (1973), Robert Ealey and the Juke Jumpers, Bluebird Open (1981), and Turn Out the Lights (1996). 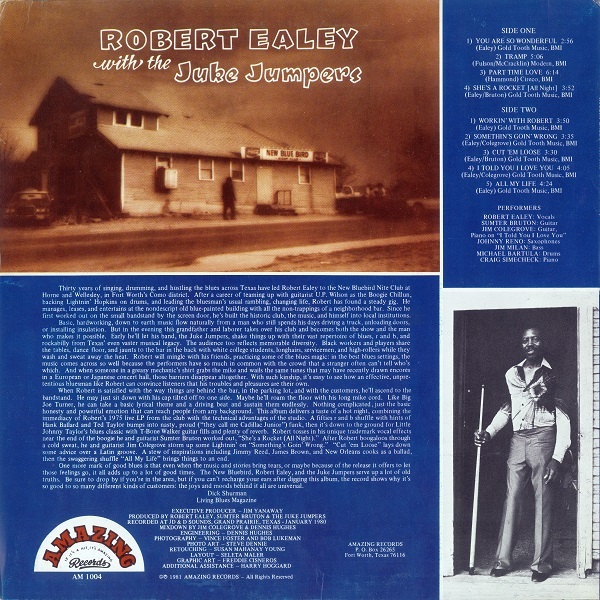 In 2003 Aristokraft Records released Robert Ealey: Blues That Time Forgot, a collection of recordings by Ealey and fellow players, including guitarist Johnny Searcy, during 1969–70. Dallas Morning News, March 12, 2002. Fort Worth Star-Telegram, March 10, 13, 2001. Older PostRecord Town on Good Morning Texas TV Show! !